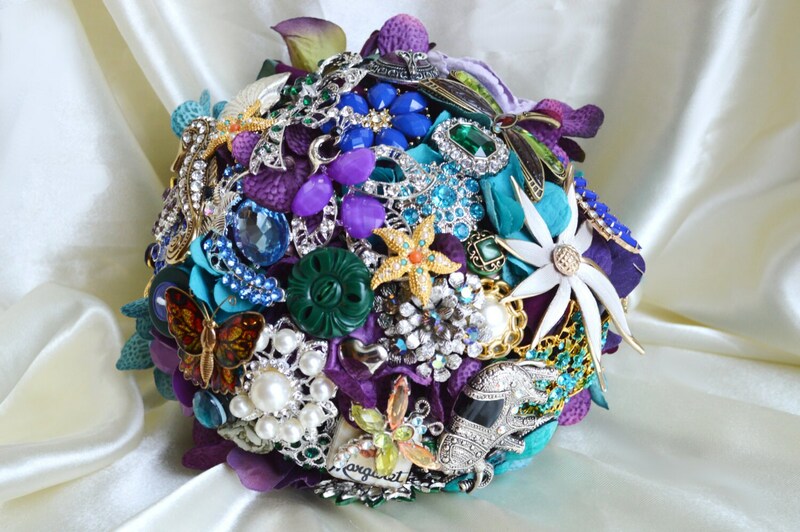 This listing is for a total price for ASSEMBLY SERVICES ONLY for your bridal or bridesmaid brooch bouquet. 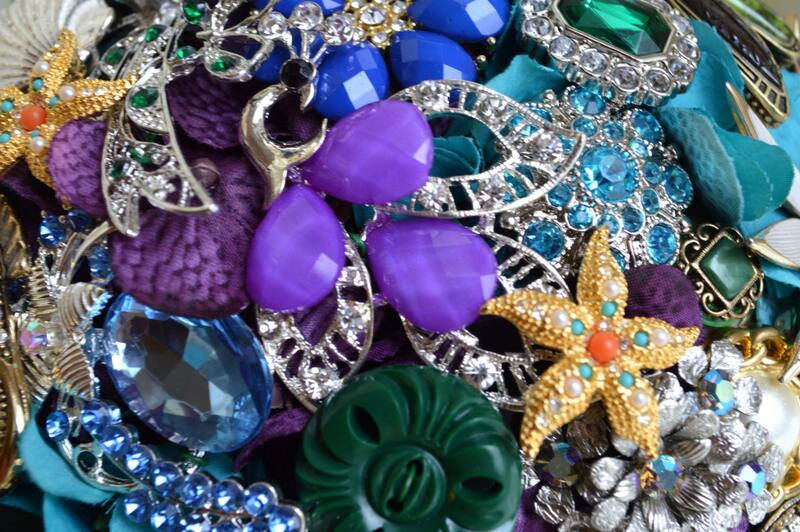 Send me your collection of brooches and jewels and I will create your bouquet and ship it back to you. 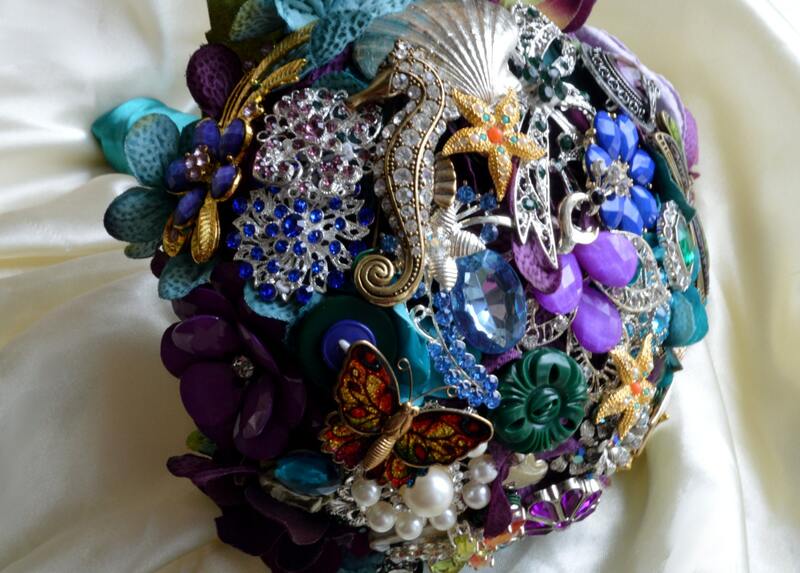 The price is for a 6" diameter bouquet similar to the one pictured. 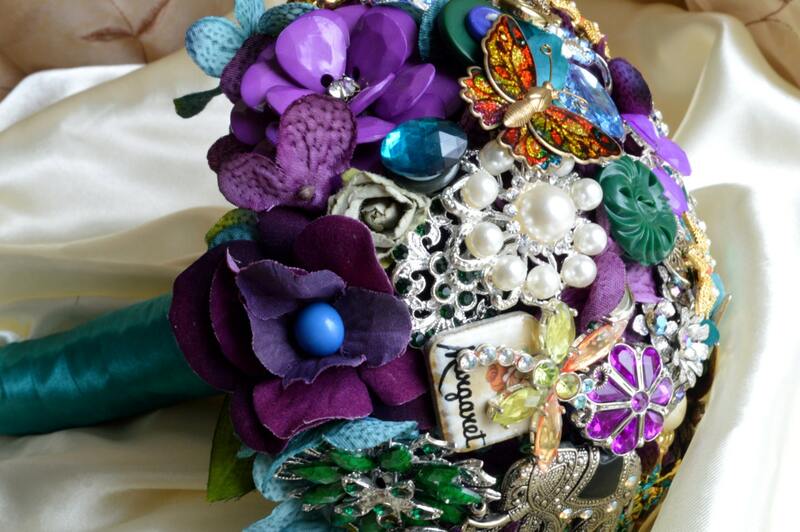 Your bouquet can be created in any color scheme you choose. 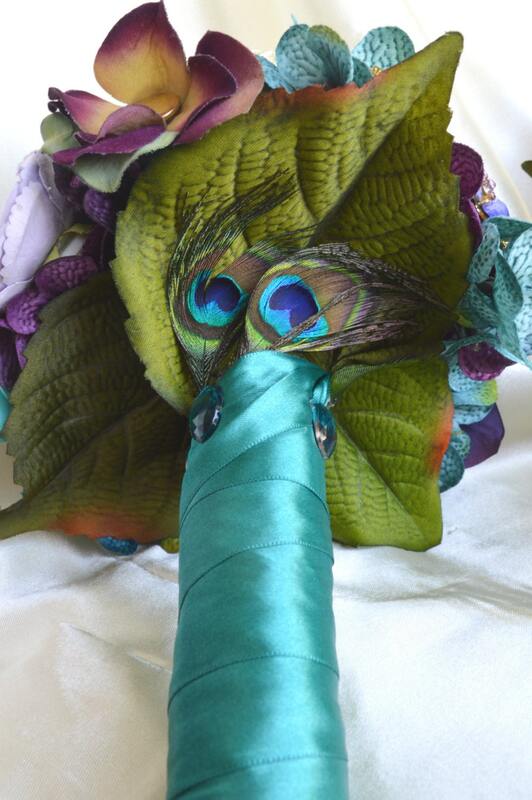 Message me to discuss acceptable items that can be used and additional items such as ribbon, flowers and other materials. Please note the $25 shipping and handling charge for US. Please convo me for INTERNATIONAL shipping. Rush orders and packages are available, please message me immediately if your desired due date is in less than 12 weeks.